The RAILBLAZA QUIKGRIP Paddle Clip was designed to make it easy to store your paddle, pole or even landing net. The universal design of the clip will fit most standard shafts from 1-1/8” to 1-3/8”. There is 2-3/8″ between screw holes, and the track nuts are included. Paddle holder is 2-3/4″ wide so your paddle will never come out. Because of the design of the QUIKGRIP Paddle Clip, you do not need a secondary clip to hold your paddle or pole. The QUIKGRIP Paddle Clip comes track mountable right out of the package. The clip stands out from your track 3 inches to not crowd your interior space. 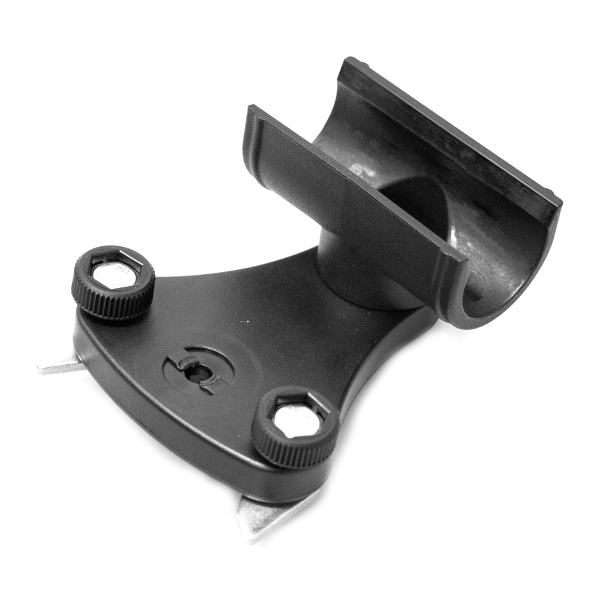 The QUIKGRIP also offers the ability to mount the RAILBLAZA MiniPort TracMount to the hole between the thumb knobs, so you can add your favorite Railblaza Accessory. Possibly a Rotating Platform for your depth finder screen or even the Railblaza GHold so your paddle and landing net are quickly available. 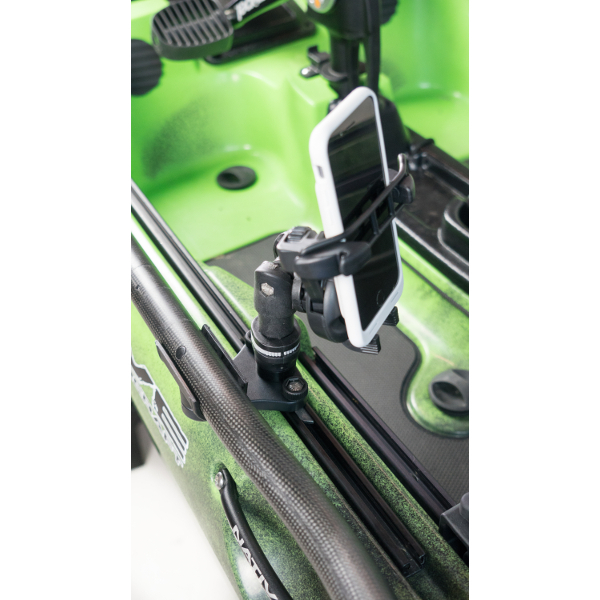 While this is a track mountable paddle holder, it is also able to mount directly to your kayak if you so choose with locknuts and washers.